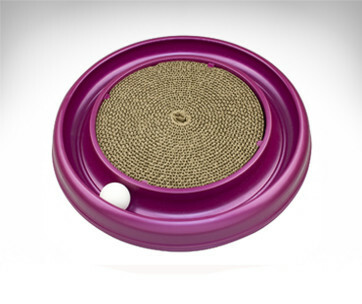 PetFusion’s Ambush Interactive Cat Toy promises to address feline boredom by stimulating the hunting instincts in domestic cats. The toy features a very simple design philosophy that takes into consideration the behavior of prey animals. 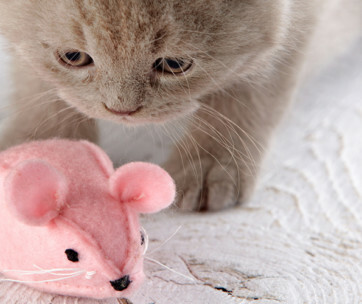 Ambush is not only a cat toy; it’s also a worthy tool to keep your feline friend sane. 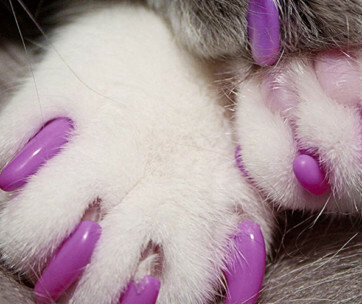 Boredom can also strike felines. And when it does, it can manifest in a variety of behavioral problems. 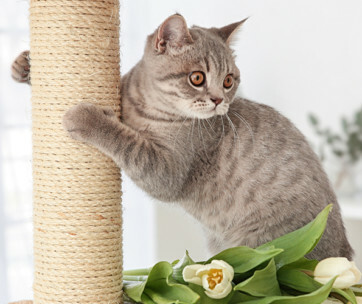 Cats can start increasing their vocalizations which can be very annoying. They may start soiling inside the house and scratching almost everything that they can lay their paws on. 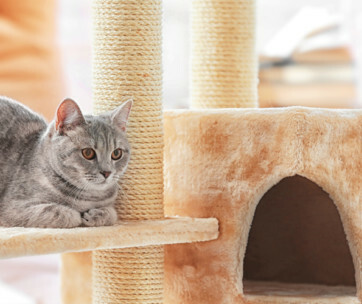 Using interactive toys can help prevent the development of feline boredom. 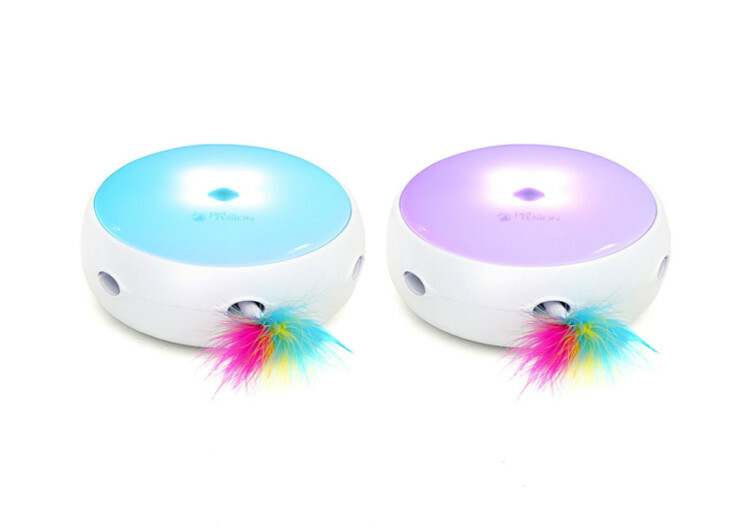 This allows kitties to keep their minds working. The Ambush is a neat cat toy, no doubt about that. At first look, it may seem unsophisticated or very ordinary. You have a thick disc-shape device with 6 oval holes on the side. There’s also a small button at the top of the disc. Under the Ambush are four small feet, which serve to prevent the toy from skidding. It’s not made of rubber, but it does a good job of keeping the toy in place. Also at the bottom of the Ambush is a latch that houses 4 pieces of AA-sized alkaline batteries. It would be costlier if you stick to such a type of battery. Most pet parents replace the alkaline batteries with a rechargeable system. This way, they can economize. The good thing about Ambush is that it comes with an auto-off feature. After 8 minutes of playtime, the device turns itself off. But what makes the Ambush so unique? The secret is what’s inside the disk. There’s a feather toy that rotates inside the Ambush. 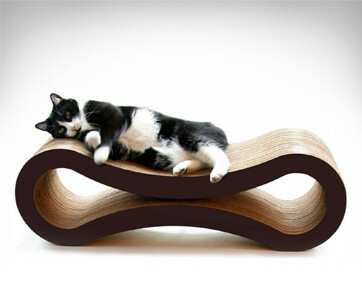 Your cat won’t see it spinning around. The only time it will take notice of it is when the colorful feather pops out in one of the 6 openings. This arouses the curiosity in the cat. As the feline approaches the disc in an attempt to “catch” the feather, the “prey” retracts inside. It will then come out through another hole. It’s a wild guessing game for cats, trying to figure out where the “prey” will pop out next. 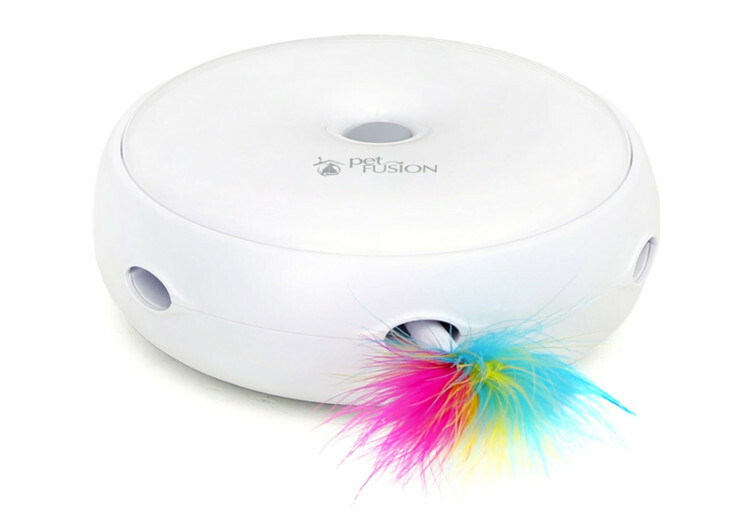 The PetFusion Ambush is a great interactive toy that plays to the hunting or predatory instinct of cats. It’s very easy to operate and is very effective in addressing cat boredom.